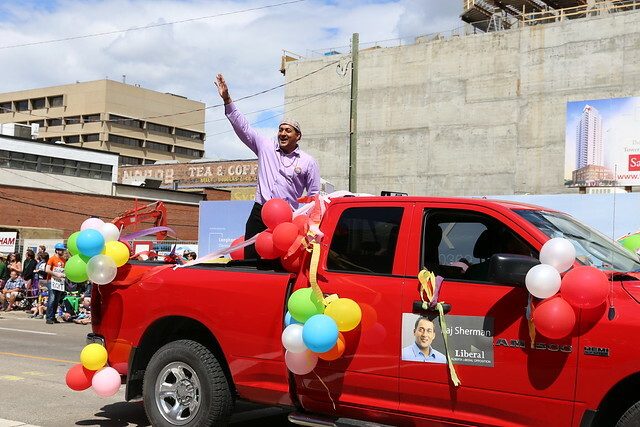 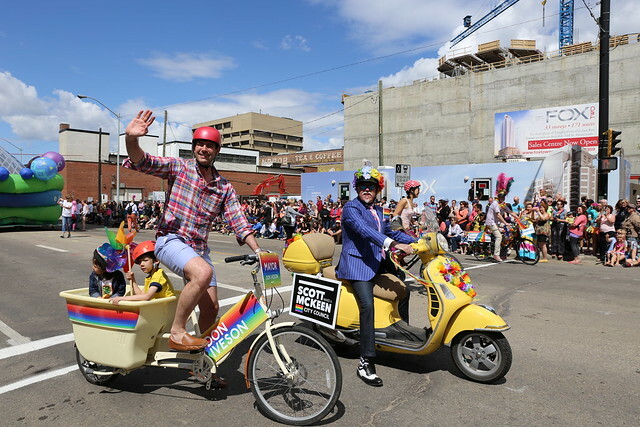 Here’s a look at some of the politicians that participated in the Pride Parade that made its way through Edmonton’s downtown early this afternoon. 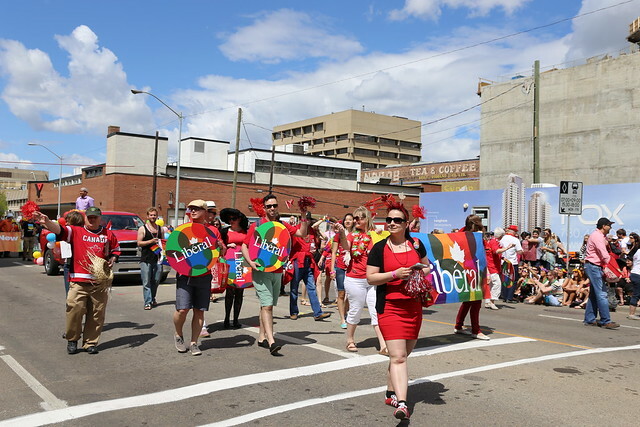 Former premier Alison Redford was the first premier to attend a pride parade when she addressed the crowd in Churchill Square back in 2012. 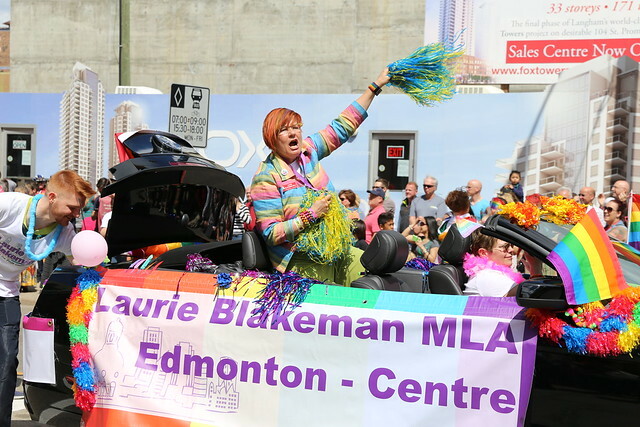 She followed that up last year by becoming the first premier to march in a pride parade when she acted as grand marshal for Calgary’s parade. 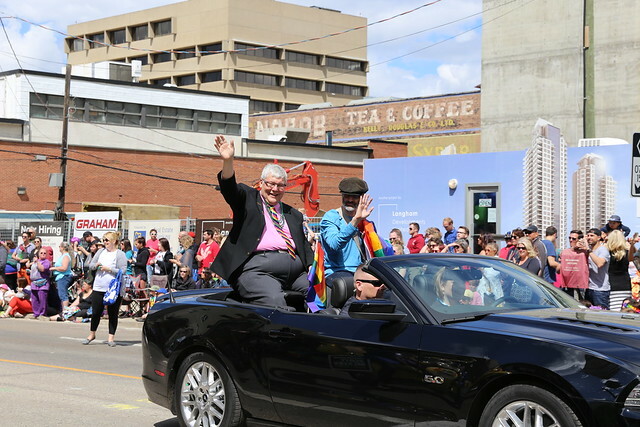 Premier Dave Hancock became the first premier to participate in Edmonton’s Pride Parade today. 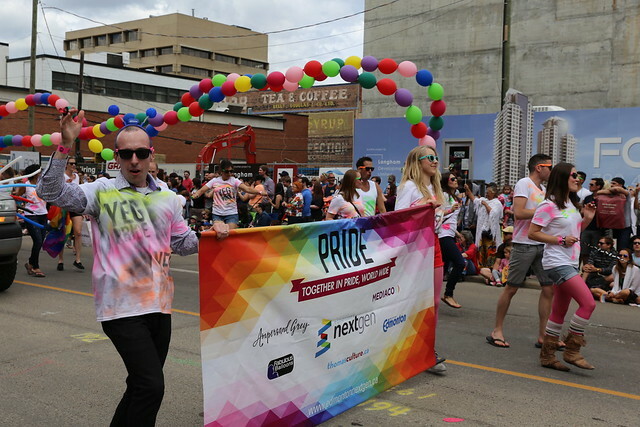 Former Edmonton mayor Bill Smith repeatedly refused to proclaim Gay Pride Week in Edmonton, but that all changed in 2005 when former mayor Stephen Mandel proclaimed Pride Week. 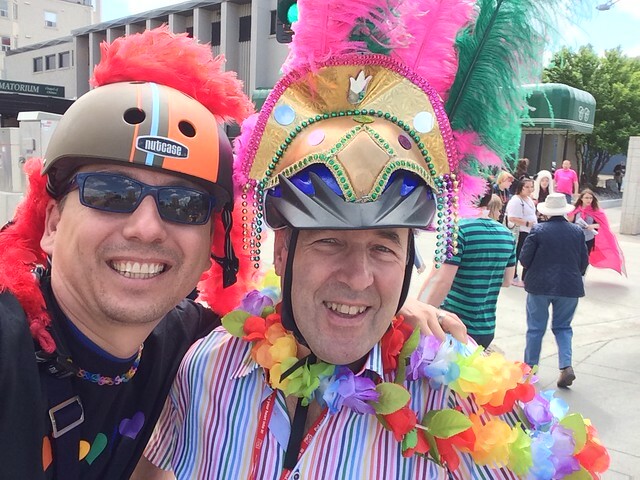 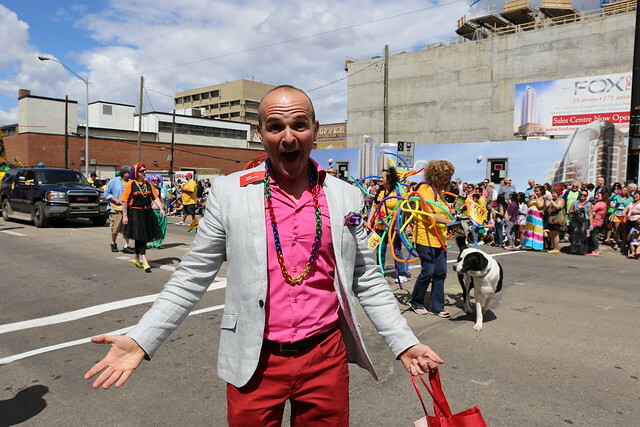 He became the first Edmonton mayor to participate in a pride parade when he rode that year in a car alongside Michael Phair, the city’s first openly gay elected official. 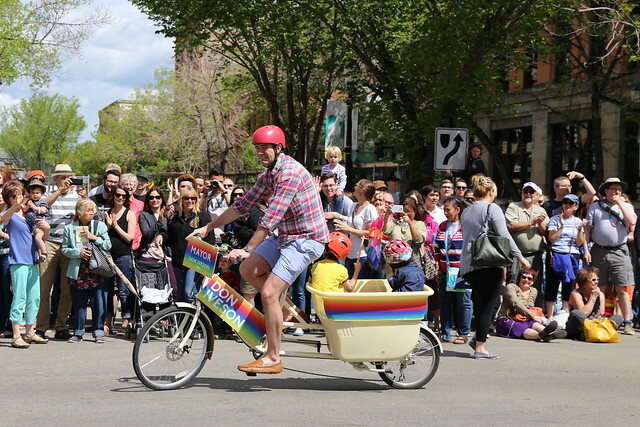 Mayor Don Iveson has supported the parade for years. 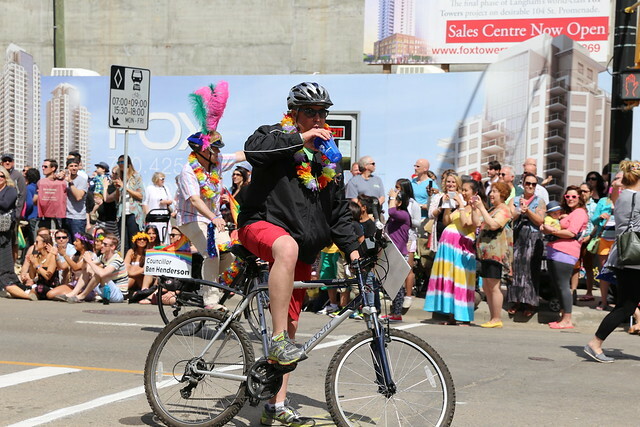 You can see many more photos of the parade here. 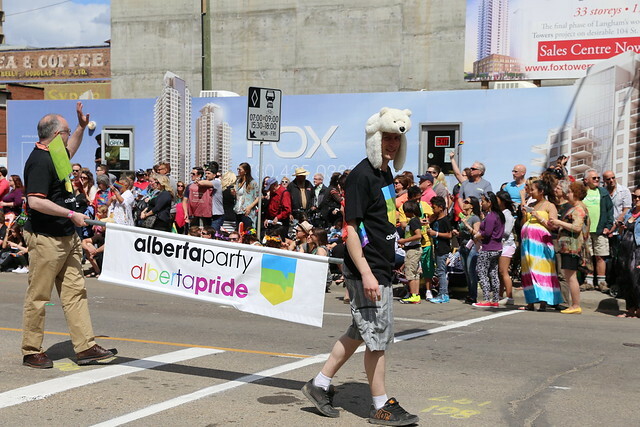 The Pride Festival runs through June 15.